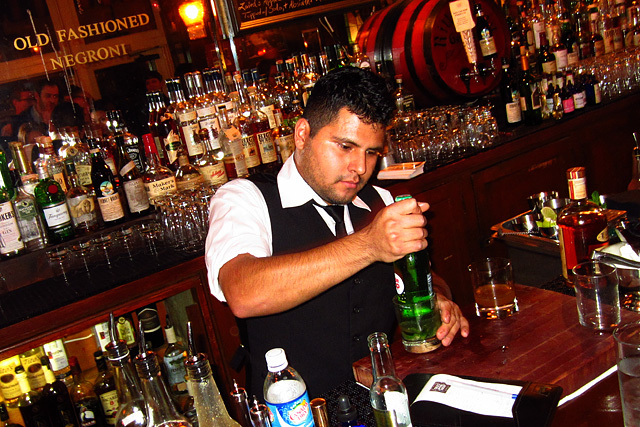 If you haven’t been to Cole’s lately, or if you’ve never had a drink at the oldest public house in Los Angeles, there’s never been a better time to head downtown and belly up to the Red Car Bar. In addition to physical improvements to the bar itself, bar manager Brent Falco has quietly assembled a formidable lineup of bartenders: former Providence bar manager Zahra Bates, former 1886 bartender Danny Cymbal, Cari Hah (Neat) and Garrett McKechnie, the former 1886 bar manager who is currently consulting on projects with Tello Demarest Liquid Assets. It’s the culmination of years of efforts from one of the unsung heroes of the LA cocktail scene. 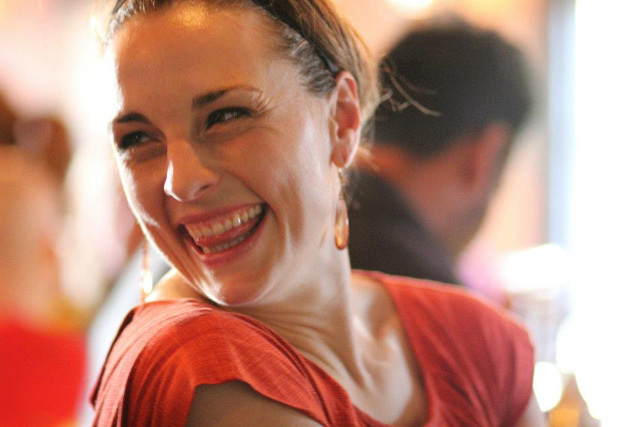 Falco, who is consulting with Tello Demarest on an upcoming bar in Calabasas, began her professional relationship with Tello Demarest in 2010, when she had just started working at Cole’s. “My father was ill at the time, so I had a lot on my mind. I just put everything into work. Marcos [Tello] was really influential on what happened afterwards, he was always available to talk to me or to offer advice.” Tello’s counsel, as well as her shifts working with Cymbal, had its impact. 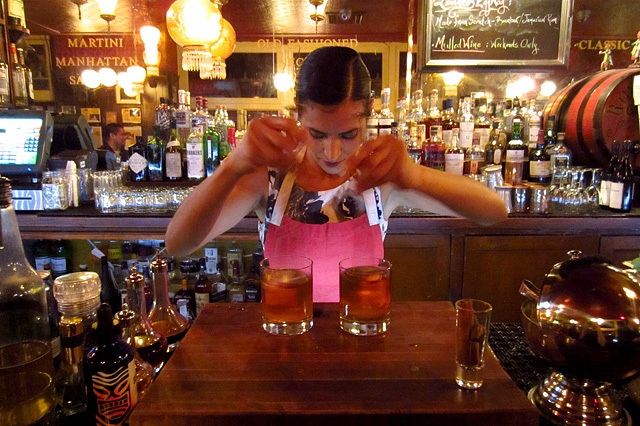 “You could say that in some ways, Cole’s is almost an extension of Tello Demarest.” By way of example she pantomimed the elegant free pour and cut that’s familiar to any 1886 regular. The attention to detail that Hah mentions, along with Falco’s mindful approach to her craft, becomes readily apparent when talking with Falco. 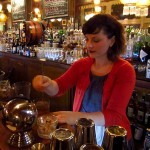 As she discussed the bartender-guest relationship, she emphasized her points with deliberate, precise motions of her hands. Falco is still behind the bar, but not constantly as she was before, thanks in part to Bates and Cymbal taking single manager shifts here and there. “I won’t be at Cole’s forever, but whoever steps in after me has to understand its history and the story. It needs to be in the hands of someone who understands the details. 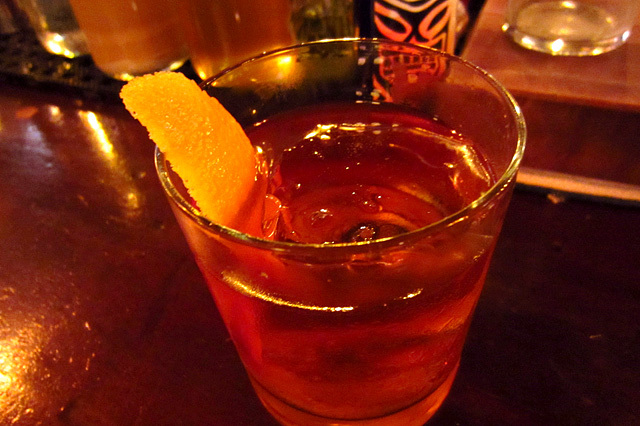 They have to preserve the bar.” She adds, “The rest of it might all go away, but if anything is left standing it will be the Old Fashioned.” The classic Cole’s version is made with Old Crow Kentucky Straight Bourbon, a favorite of Ulysses S. Grant, Mark Twain and Hunter S. Thompson. (Tip of the hat to anyone who knows where to find the tuxedoed crow inside Cole’s.) Also currently on the menu is the outstanding Cole’s Barrel-Select Old Fashioned, made with single-barrel Buffalo Trace Bourbon selected by Cole’s bartenders. 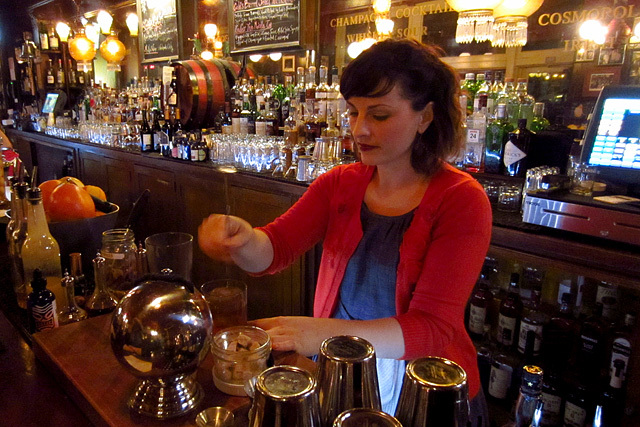 The cocktail menu doesn’t change often, and Cole’s “will always be a stirred cocktail place,” but Falco is confident that her team will expand the bar’s repertoire beyond her own personal favorites. Danny Cymbal’s Old Devil is a fine example, an Old Fashioned-style cocktail made with three rums (Smith & Cross, Sailor Jerry, Appleton 12-Year), Angostura and Tiki Bitters, a brown sugar cube and an orange peel. Falco isn’t done with updates and improvements to the bar. 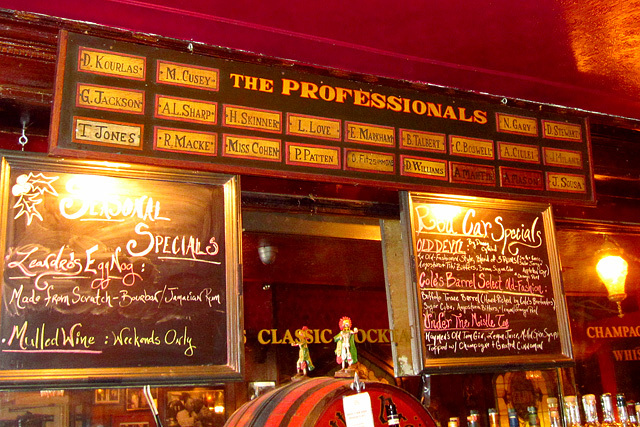 “The Professionals” board of Cole’s regulars above the bar is making a comeback. She said the names on the board are Old Money types who worked in the Bank District. At one time there was a phone wire that went next door, where The Association bar is located today, so that business could be conducted at Cole’s. And starting in January, Falco is introducing Manic Mondays, when Cole’s bartenders get to play with the ingredient of the day, with no idea what it will be until they arrive for their shift. And then there’s the landmark event that’s taking place on Saturday, December 29th. 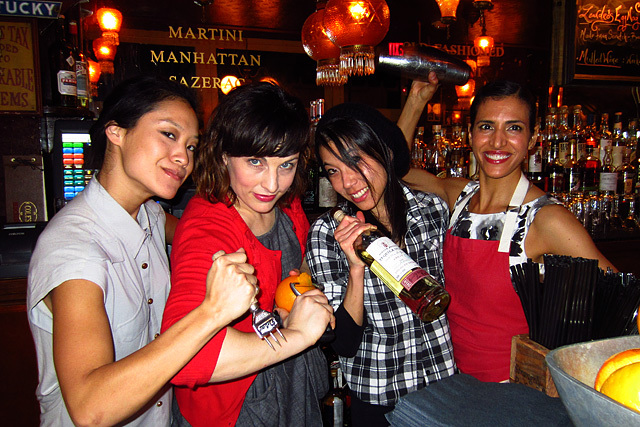 For the first time in the 104-year history of Cole’s, an all-female bar team will be working at the Red Car Bar: Brent Falco, Cari Hah, Zahra Bates and superstar barback Yvonne Chu. The event, affectionately dubbed The Mayans Were Wrong, is being held in honor of Chu, who is undergoing knee surgery the following week. Besides the home team, Falco is extending an open invitation to female bartenders across the city who want to take a turn behind the stick that night. “Epic” is a word that gets thrown around far too easily these days, and the Old Fashioned will outlive us all. But let the record show that December 29, 2012 is a night destined to go down in Cole’s history and is certain to become an enduring part of Brent Falco’s growing legacy.